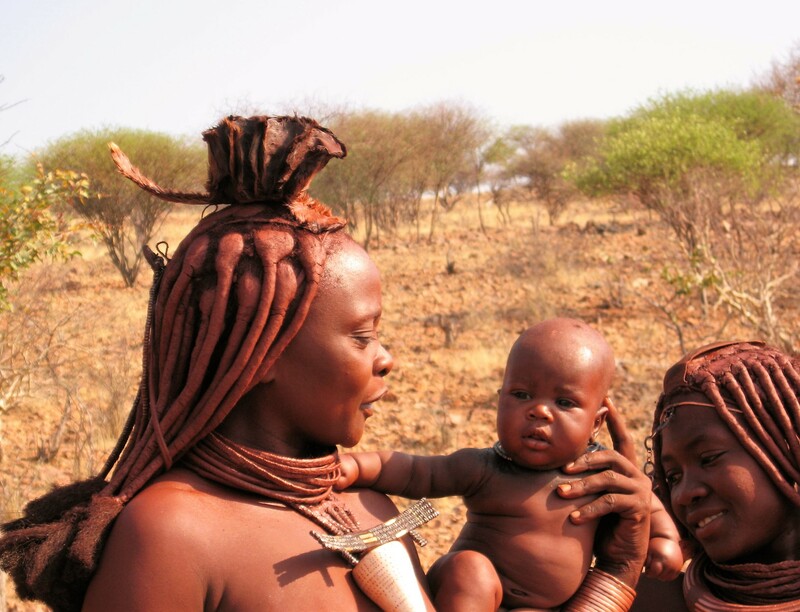 The Himba also live on a very original cultural level in northern Namibia, in the Kunene region, which is the border river to Angola. 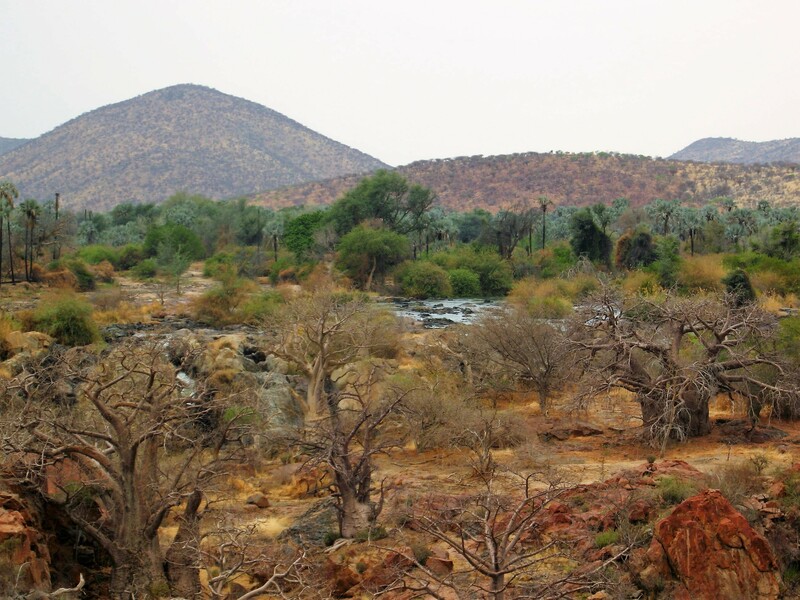 Here you can find small Himba villages hidden in the bush. 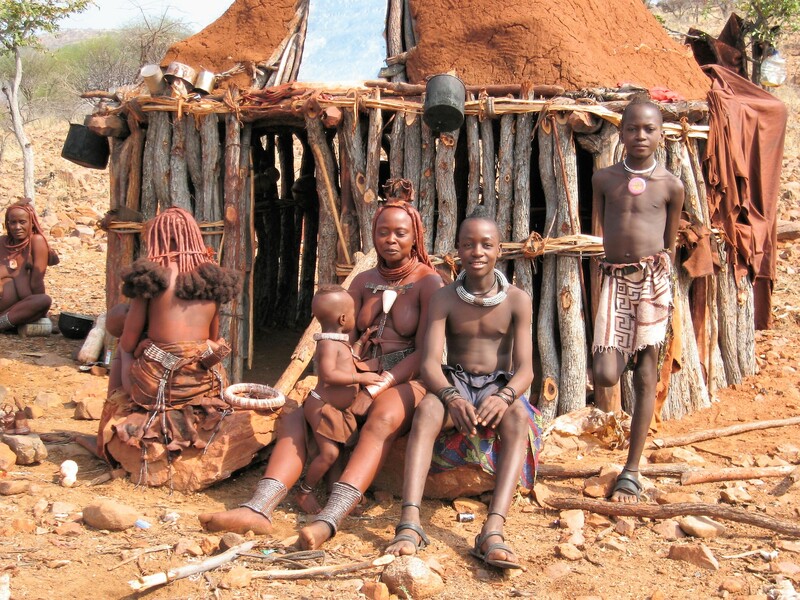 In contrast to the Hadzabe, the Himba build small, round huts from clay, cow dung and twigs. Live-basis is the attitude of goats, sheep and cows. 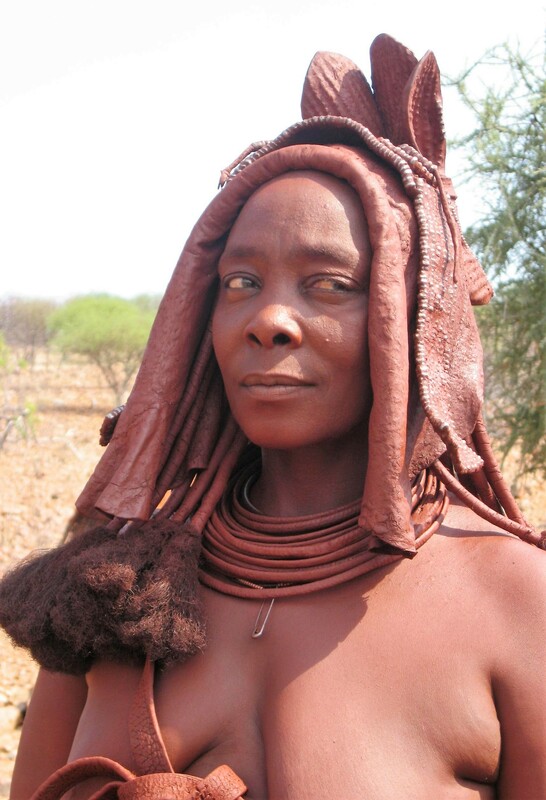 Since the country is savannah-like dry, partially with dry bushes existed, the Himba are forced to lead its cattle in nomadic or semi-nomadic way of life to changing pasture grounds. Cows determine thinking and prestige and even have a place in the religious myth and cosmology of the Himba. 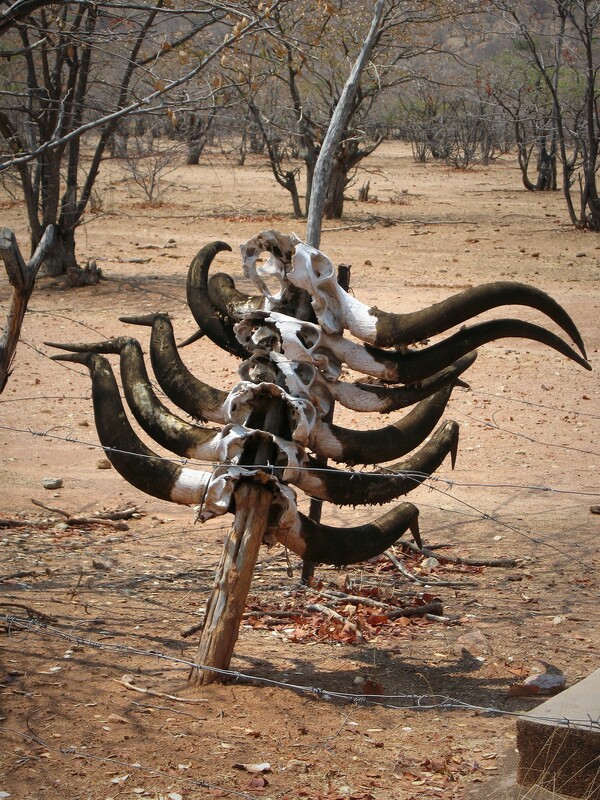 The importance of the possession of cows is shown by the cow skulls piled on the grave of a Himba, which provide information about the reputation of the deceased during his lifetime. After a severe drought, which decimated the herds of the Himba considerably, the animal population has largely recovered today. 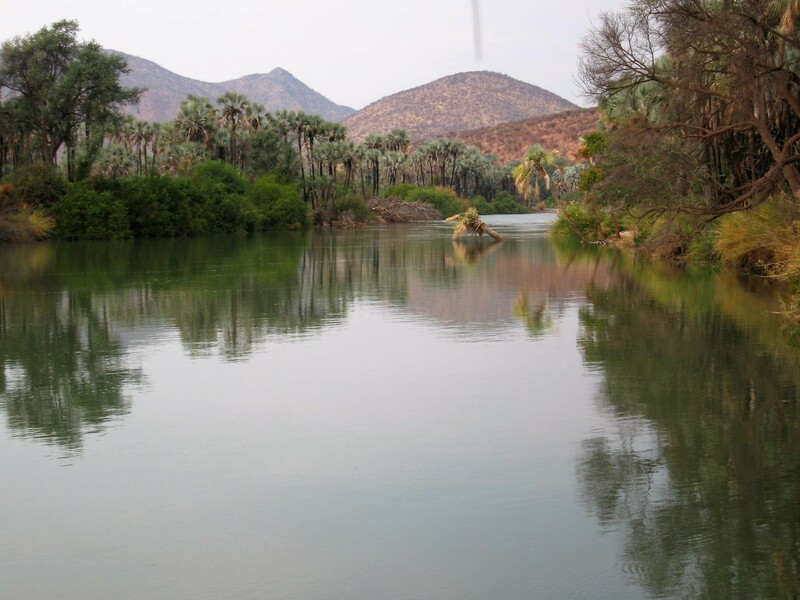 Beside the cattle-breeding, corn-cultivation exists in some places in modest measure. The reddish skin colour of the Himba is conspicuous, which results from the fact that the whole body is rubbed with a mixture of fat and reddish dust. Women’s hair is braided into braids reaching down to the shoulder and covered with a layer of red clay. After the wedding the women wear a leather headgear with cow horns. The men’s clothing consists of a kind of skirt and a leather cap. Women wear a loincloth. The women’s upper body remains undressed. The necklaces and leg chains are mostly made of iron beads. The necklace contains iron beads and a large snail shell. Men and women adorn themselves with necklaces. A man can marry more than one woman. Extramarital relationships are common. Men have the main decision-making power, but the women carry the main burden of daily work, such as building huts, collecting wood, preparing meals, looking after children, while the men guard the herds. 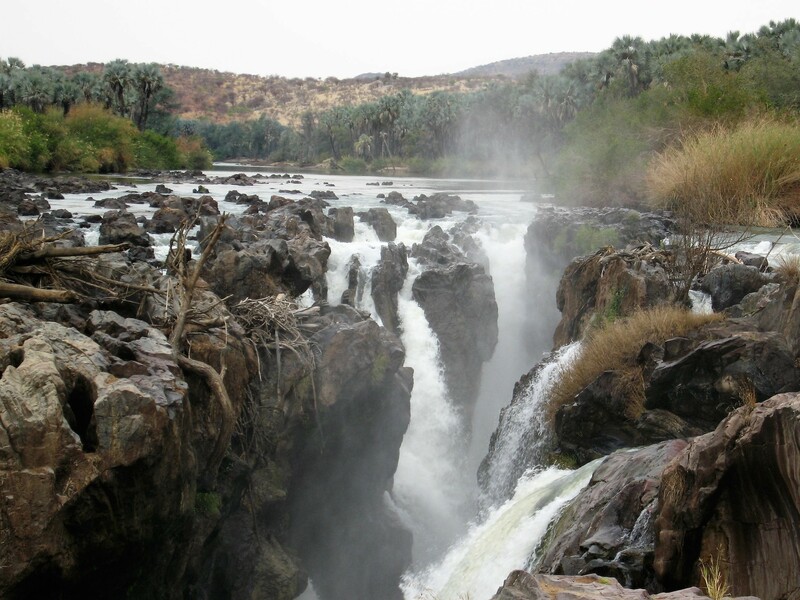 The pictures show the habitat of the Himba: Kunene with epupa falls, trees on the banks of the Kunene on the Angolan side, in the background the predominant dry savannah. Himba in a settlement in Kaokoland, northern Namibia.